The faster you can master new knowledge, the better you’ll be able to do your job and have more impact. But what’s the best way of learning? 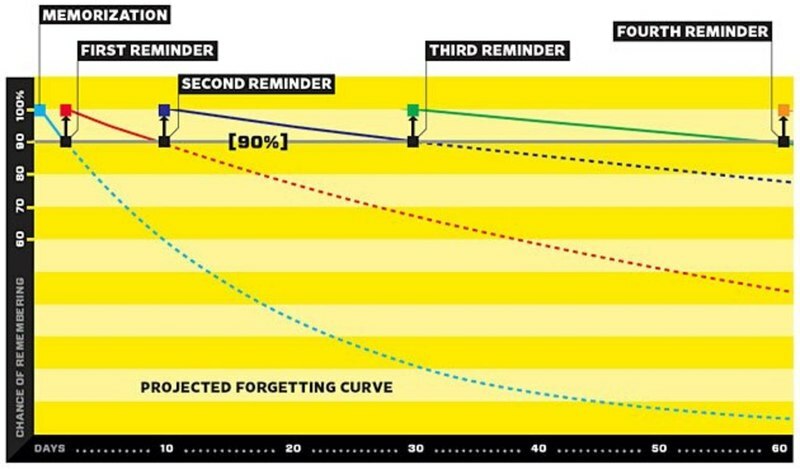 The most promising method is spaced repetition – flashcards done well. As well as this optimal pattern of review, psychologists have shown1 that active recall (i.e. practice testing) is better than passive recall – i.e. it is better to review by asking “What is the capital of Ethiopia” and forcing yourself to answer than to review by simply reading “The capital of Ethiopia is Addis Ababa”. Spaced repetition software uses these principles. You make question-and-answer flashcards and when you’ve answered a question the software works out the best time to test you again. So all the scheduling is taken care of for you. But can you use this technique to learn complex information rather than simple facts such as world capitals? According to people who have tried it, yes, it’s possible. You just need to make sure you break down the information in the right way. This list of 20 rules for writing flashcards will help you break down complex information. And for an example of how to learn complex information using flashcards have a look at this detailed guide by someone who has used spaced repetition to study computer programming. If you can accelerate your learning then you’ll be able to learn more information useful for your job. You also get compound benefits from knowledge. The more you know, the more easily you can learn related topics and make links between different areas of knowledge to come up with novel solutions. There are lots of useful things you could learn: if you’re a student you could study your subject more efficiently. If your job involves a lot of networking you could use spaced repetition to learn names and information about people that you need to remember. Every time you come across something useful you didn’t know, you can make a new flashcard in seconds. 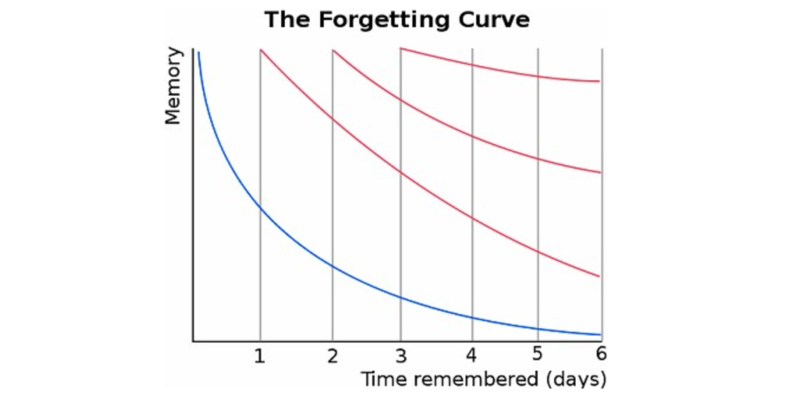 Daily spaced repetition costs vary dependent on how many cards you review each day. I just reviewed 36 cards in 6 minutes, for example. However, it’s a very efficient way of learning things. The spacing means that you can maintain a deck of thousands of cards and still only take 15 minutes a day to review (depending on how fast you add cards). Given that the software finds a close-to-optimum schedule of reviewing, any other schedule of review would either take more time or would cause you to forget more. Some psychologists recently published a review of the best learning methods. They found that practice testing and distributed practice (where you space practice sessions over time rather than cramming all at once) came out top. Both of these methods are used in spaced repetition. You can see a full review of the evidence for spaced repetition here. Choose something to learn – start with something that’s fairly easy to break down into small facts, but make sure that you actually care about learning it, otherwise you won’t want to do the reviews. Anki – free and easy to use. Memrise – web-based system with a game-like setup and lots of cards for language learning.